We are the premier association of Window Cleaner. What's more, our items are handled according to market request utilizing the ideal quality data and propelled methods. 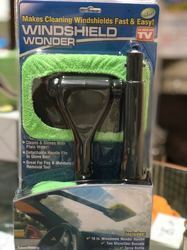 Magic windshield wonder car window cleaner. - adopts microfiber pad with a pivoting head to make windshield cleaning faster and easier than ever. - cleans and shines with plain water. - long detachable handle fits in glove box, for convenient to carry. Featuring a microfiber sleeve with thousands of aggressive cleaning edges that grab and hold dust and dirt, this cleaner has three arch spines that make it easy to clean those hard to reach blinds with less effort. When the sleeve is dirty, just drop it in the washer, it comes out good as new, even after hundreds of washings. A non abrasive cleaner for glass, laminates, metals and ceramics which evaporates leaving a clean, smearfree, shiny surface. 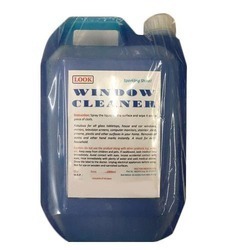 We are a supplier of double window cleaner. High Rise Window Cleaners robotic can go upto 30ft.with a chord attached to it .